A quick flick through a travel guide or brochure for the Isle of Pines will show you crystal clear blue seas, luscious green landscapes and perfect white sandy beaches – the scenery on this small island is truly breath taking. Sail to the Isle of Pines with Cruise 1st Australia and you can discover this natural beauty – and much more besides – for yourself. 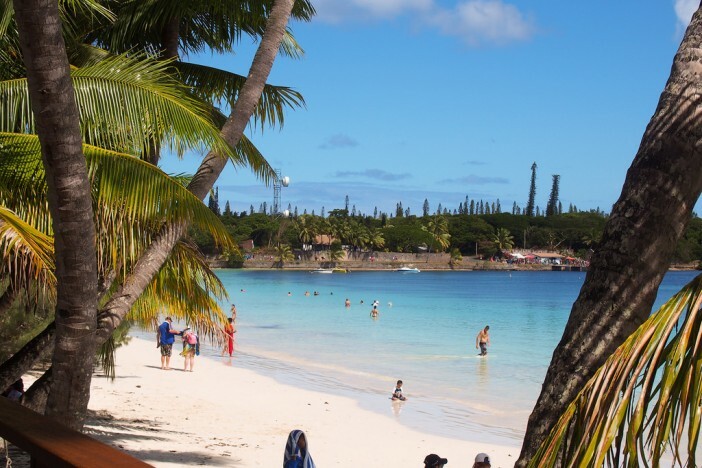 Read on to find out more about this destination, or click here to see our latest cruise deals to the Isle of Pines. Situated in the Pacific Ocean in the province of New Caledonia, this French-speaking island has been nicknamed “the closest island to paradise”. While this island is indisputably beautiful with it’s tranquil beaches and expanses of coral reef and colourful tropical fish, it also has a fascinating history in stark contrast to the peaceful beauty of today. The French took power of the island in 1853 and by 1872 it became a penal colony which was home to around 3000 convicted deportees, mostly for political crimes. Today, the ruins of this former prison can be seen at the west of the island in Ouro. The water tower in Ouro was built by the colony and is still in use now. You can even visit the Cimetière des Déportés – the cemetery near Ouro where a pyramid-shaped memorial and the graves of over 300 prisoners who died between 1872 and 1880 can be seen. It is well worth a visit to the Catholic church, partly built by the prison colony – Notre Dame de l’Assomption. This church was built in 1860 by missionaries and local people as well as convicts. Venture behind the church to find a winding path which leads to a small chapel and stunning panoramic views of the lagoon and village. To get the best views of the island head to it’s highest point – Pic Nga. From here you can see for miles across the island and the Pacific Ocean beyond. For further photo opportunities visit St Joseph’s Bay, also known as Canoe Bay. This is a beautiful harbour and is the place to see the traditional sailing pirogues (outrigger canoes), which are still used by the island’s local inhabitants. Book your Isle of Pines cruise today to discover this stunning island for yourself. Cruise lines currently sailing here include Royal Caribbean and Carnival Cruises. To book your cruise visit our Pacific Islands cruise deals page, where offers are updated regularly. Meanwhile here are some examples of recent deals. You will sail from Sydney then onwards to Mare, Isle of Pines and Noumea before returning to Sydney. You will depart from Sydney and sail to Bay of Islands, Auckland, Noumea, Isle of Pines and Mystery Island before returning to Sydney. Image sourced via Flickr Creative Commons. Credit: Taryn.